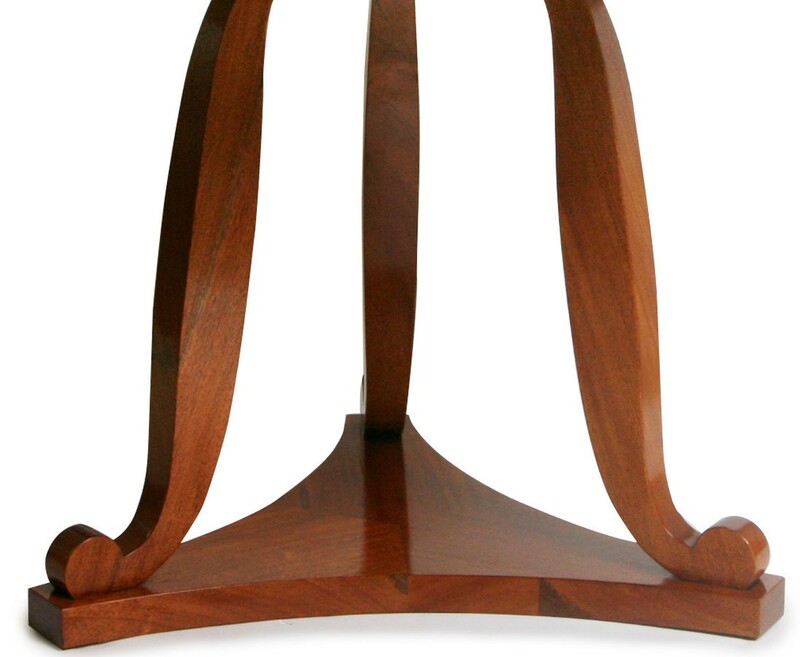 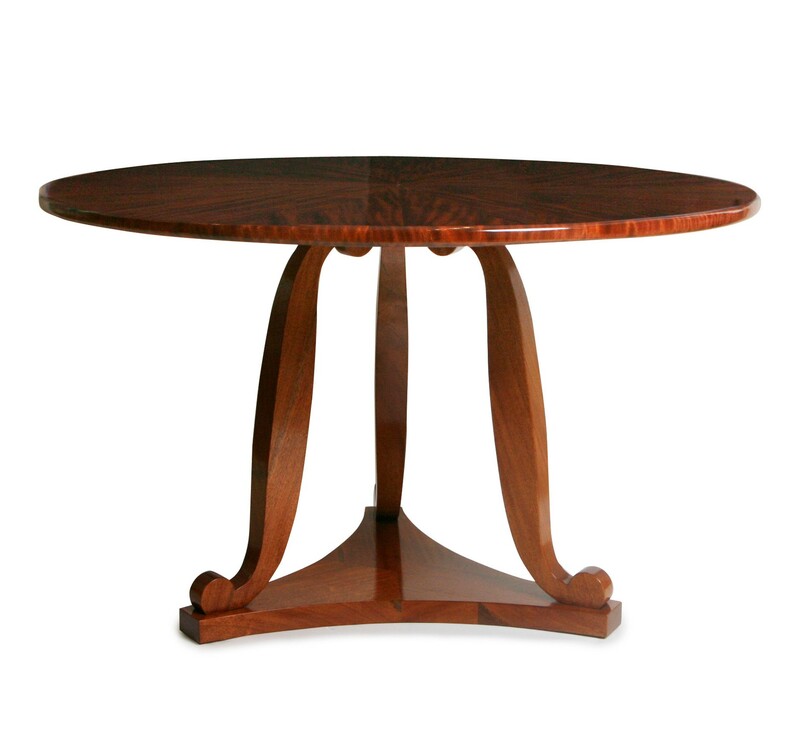 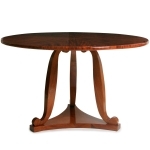 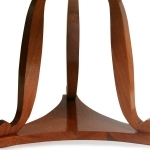 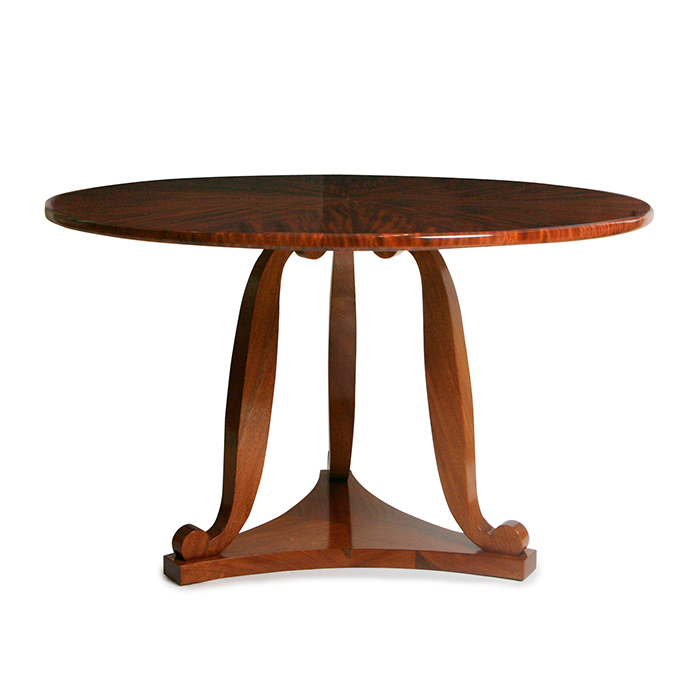 Center table, shown in ribbon mahogany with a French polish finish. 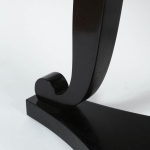 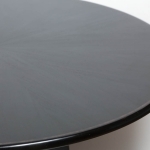 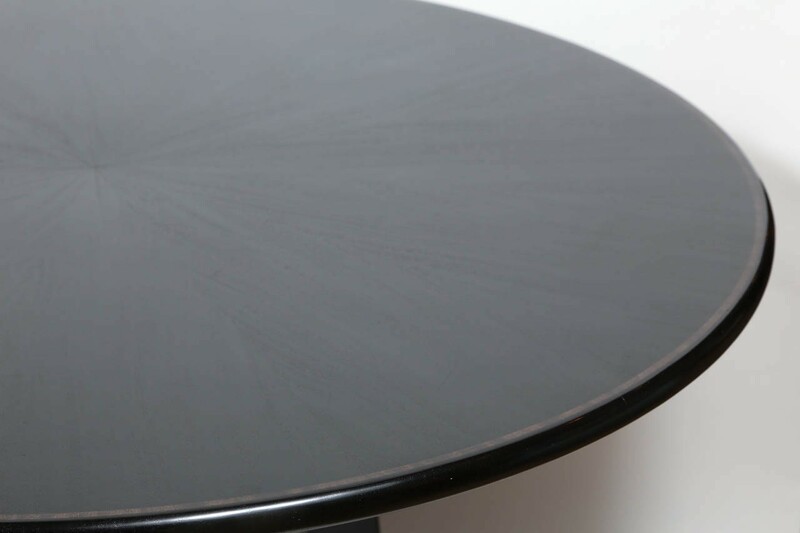 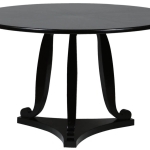 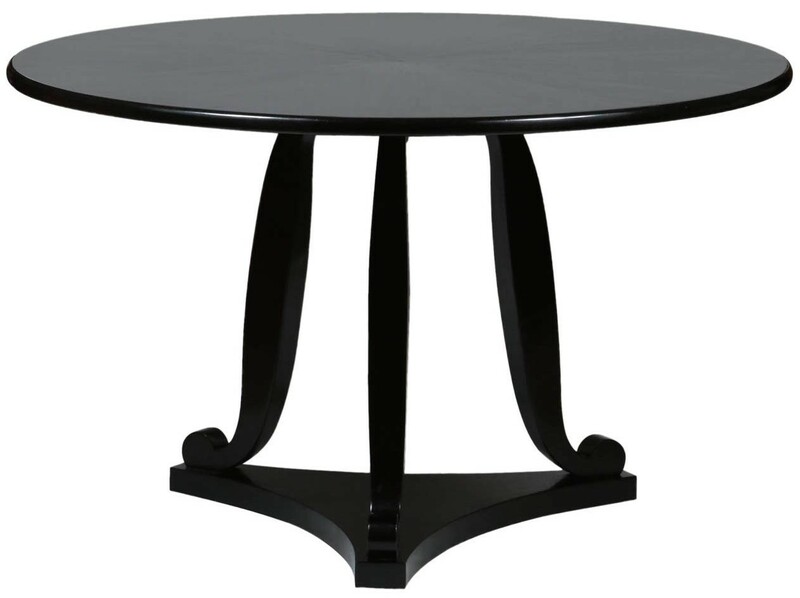 Details include contrasting inlay on table top and French Restauration inspired legs. 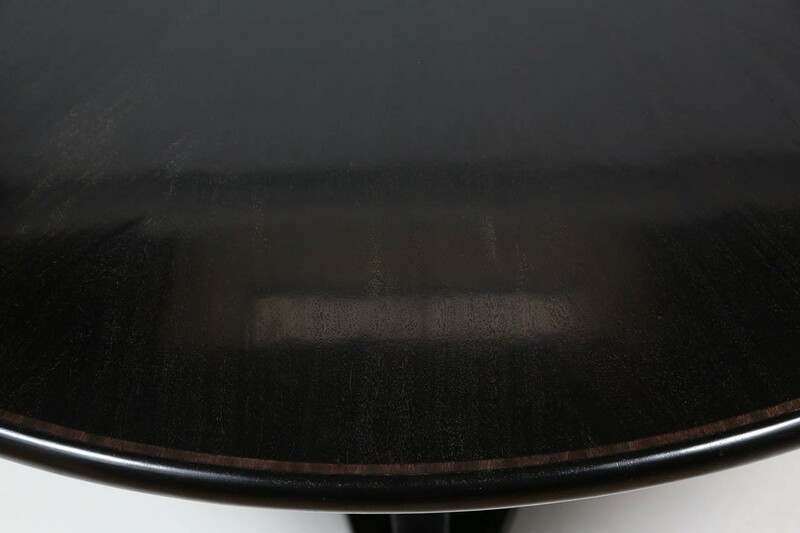 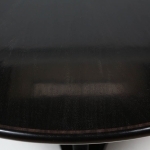 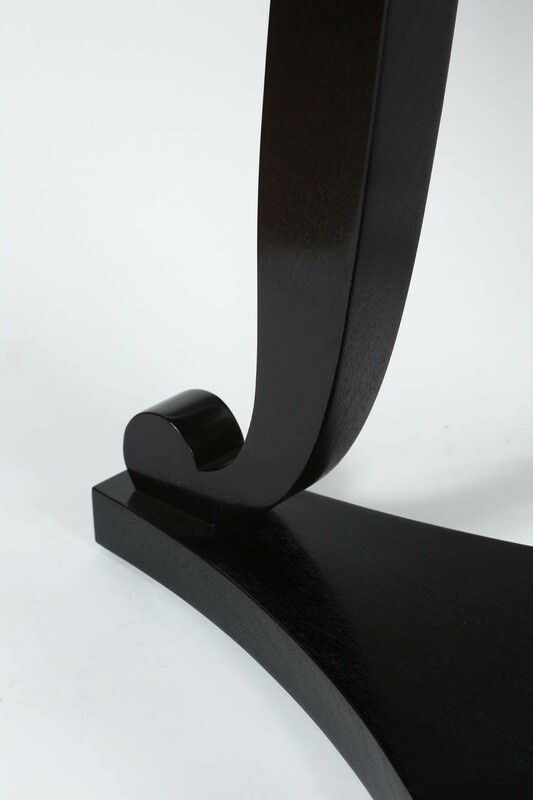 Also, shown in an ebonized French polish finish.